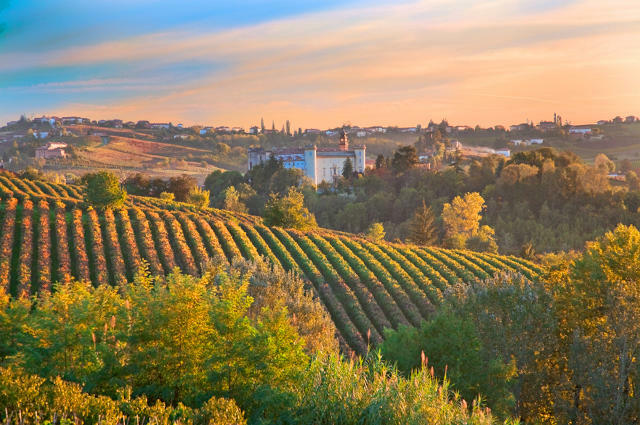 This subalpine region of Italy (its name literally means “at the foot of the mountain”), once home to the Kingdom of Savoy, is perhaps the greatest wine-producing region of Italy. With a terroir and climate similar to Bourdeaux and a landscape reminiscent of Burgundy, the vines here are planted at altitudes which can vary from 150 meters above sea level to 350 meters and beyond, with the best, south-facing sites typically devoted to the Nebbiolo grape, from which the world-famous Barolo wine is made: often called the “King of wines” and the “wine of Kings,” especially after it became the official wine of the House of Savoy, the cultivation of Nebbiolo grapes was encouraged when Count Camillo Cavour, architect of Italian independence, first brought French oenologists to Piedmont in the late nineteenth century. 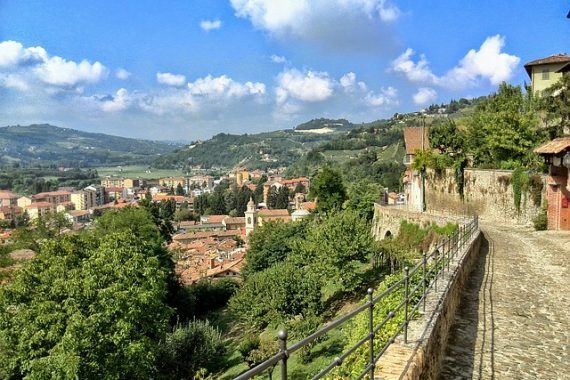 Today Piedmont has become one of Italy’s most sought-after culinary and oenological destinations. From the classics of the region like bollito misto (bohl-LEE-toh MEES-toh, an assortment of boiled meats, served with a savory salsa verde made from Italian parsley, capers, anchovies, and bread that has been soaked in vinegar), tajarin dressed with shaved white truffles (tah-y’ah-REEN, the classic handmade pasta of Piedmont, tossed with shaved white truffles), to dishes like panissa (pah-NEES-sah, rice cooked with broth, red beans, and salami), North Americans have been flocking to this exquisite region which seems to be impervious to the culinary commercialization that has affected so many other regions of the peninsula.